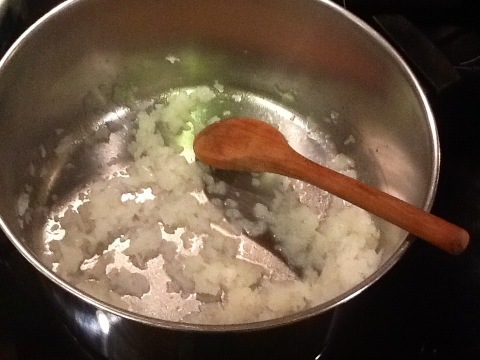 Sauté onion in coconut oil over low heat until soft. When I need just a small amount of chopped onion for a recipe, I go ahead and chop up the whole thing and keep the leftovers in the freezer. I used leftover chopped onion for this recipe. 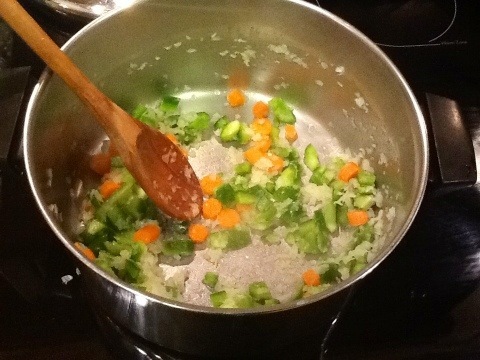 Increase heat to medium low and sauté carrots and peppers until tender. Try not to eat too much of them when you chop them up. When you get a jalapeño pepper out of the freezer, see the chicken broth and belatedly realize that it is frozen solid. 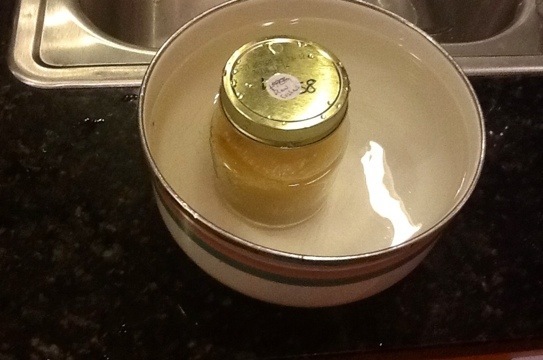 Thaw in a bowl of hot water. 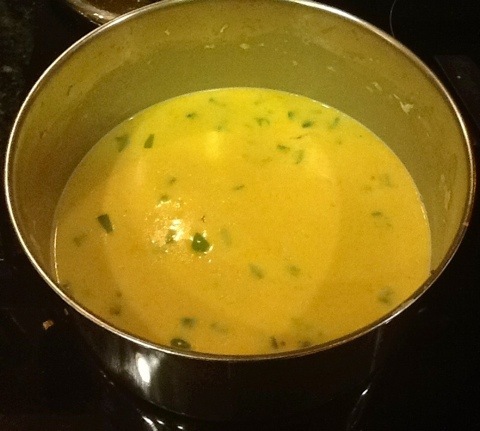 Add remaining ingredients except parsley or cilantro. Get busy cooking the rest of dinner and completely forget to take any more pictures. This soup received mixed reviews. I absolutely loved it, as did my office mate, who is also a huge fan of Surin’s soup. Tom thought it was just ok, and Jewel and another coworker didn’t care for it. 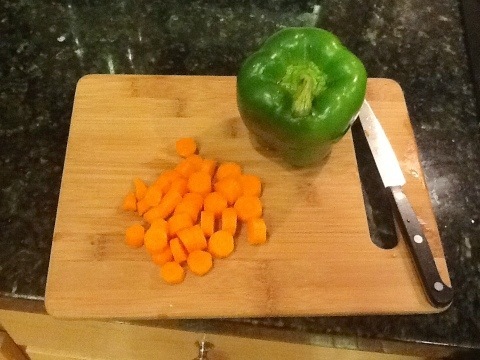 When I had some leftover soup for a snack at work today, I decided that the problem ingredient was the green pepper. It has a slightly bitter flavor that just doesn’t go well with the pumpkin. Next time I will use mushrooms instead. Also I’ll use cilantro instead of parsley, which was too crunchy and harsh. 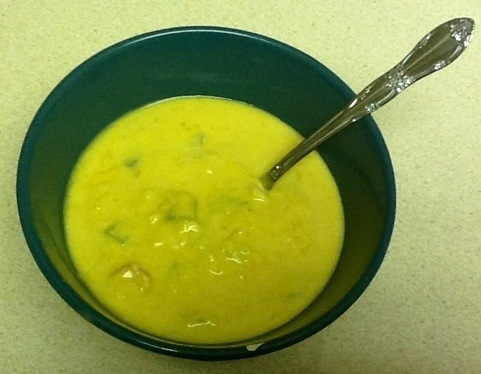 I’ll try to take a picture of the soup at work tomorrow and add it to this entry.